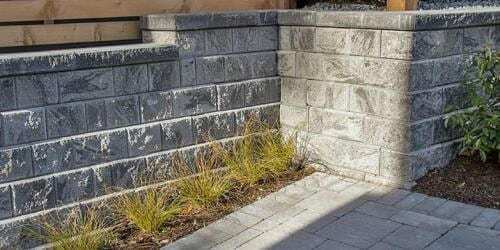 Abbotsford Concrete Products Ltd. has been an innovative industry leader in the manufacturing of Interlocking Pavingstones and Segmental Retaining Wall Systems for more than two decades. 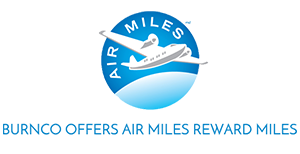 Their state of the art manufacturing facility ensures that you receive the best products, which meet or exceed strict ASTM or CSA Standards. 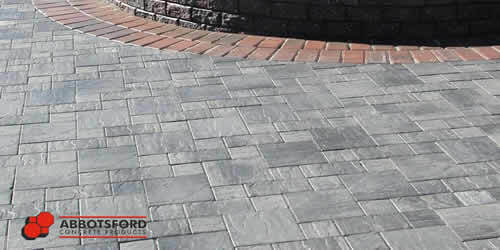 Abbotsford Concrete PermaFinish™, two layer, unified manufacturing process will ensure that your residential or commercial paving stone project will maintain its texture, a more intense color, and a superior abrasion resistant wearing surface than out-dated manufacturing processes. 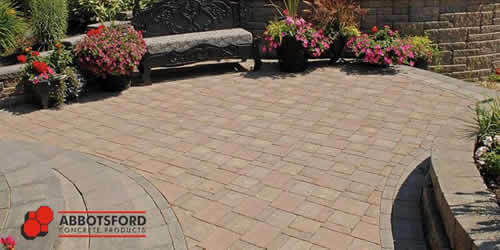 In 1992 Abbotsford Concrete was one of the first manufacturers in North America to invest in this paver technology that was developed in Europe over half a century ago. 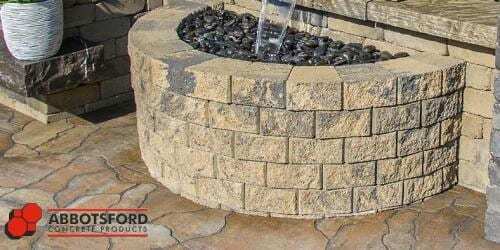 Abbotsford Concrete PermaFinish™ technology matrix uses fine graded hard granite sands, high cement content, and an equally high pigment concentration to ensure long lasting aesthetics in your investment. Without PermaFinish™, coarse aggregates on the surface become worn quickly, within as little as a couple of years, exposing the natural colors of the aggregates below. 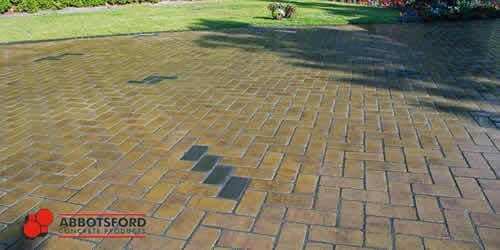 This exposure gives the appearance of faded worn-out pavers. 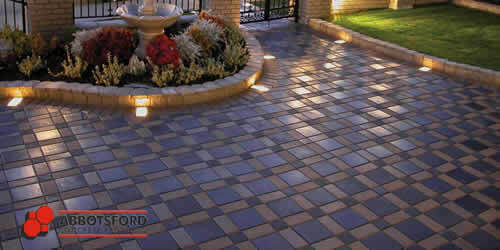 Other brand manufacturers would have you believe that by having color throughout, you’ll receive a better paving stone. Color throughout has absolutely nothing to with aesthetics or durability. 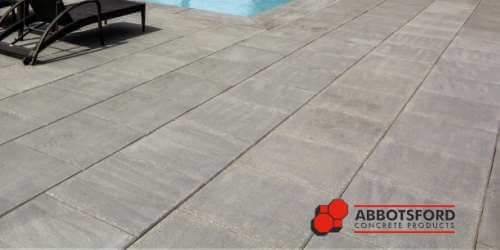 Abbotsford Concrete’s PermaFinish™ high performance matrix is concentrated where it counts. Insisting on PermaFinish™ for your next paver project will help insure lasting beauty, and protect your investment for many decades to come. Abbotsford Concrete Resources Brochures, CAD Drawings and more. Estate Stone, with PermaFinish has a worn distressed appearance that gives a historical ambiance reminiscent of Old World Charm. The Classic Standard Series is the ultimate in adaptive design. The six sizes can be used in a wide variety of patterns to reflect your personal style, from understated to dramatic. 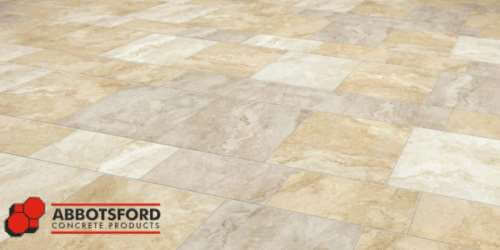 Pacific Slate Finish, with the sophisticated appearance of natural stone, opens up a variety of combinations whether used on its own or in conjunction with the Classic Standard Series. Old Country Stone is the perfect choice for reflecting the incredible possibilities when old world charm meets the present. 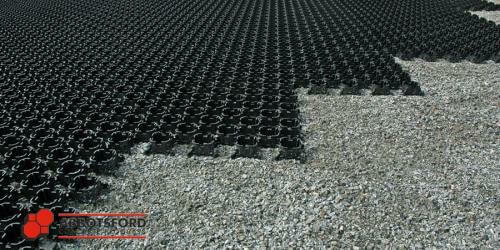 A lightweight plastic structure manufactured from 100% recycled plastics designed to stabilize and support turf, grass or decorative gravel. The StoneHenge Series is the ultimate building block to create those unique one of a kind pieces for the ultimate in outdoor living spaces. StackWall, you can let your imagination go to create beautiful uniquely shaped planters and gateway pillars. 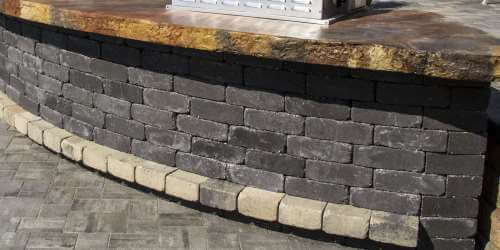 The PisaLite® retaining wall system offers the ultimate in flexibility of design from taming that steep slope, to creating a beautiful focal point in your landscape design. 2cm HydraPressed Porcelain Slab is manufactured with our patent pending integral mix design, ensuring you the finest quality 2cm HydraPressed Porcelain Slabs on the market. 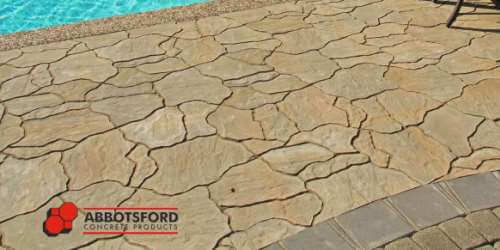 FlagStone with PermaFinish is ideal for decks, patios, sidewalks, pool surrounds or anywhere the look of natural stone is required, but at a fraction of the cost. The Texada with its light Shot-Blast finish, provides a smooth non-skid surface. This slab can be used with any of our other slab styles to create a very unique look.